Calling all psychology and counselling graduates! Are you looking to build your skills and your career in a challenging and dynamic environment? Learn more about the chance to further build a wide range of core psychotherapy skills with us here at The School of Positive Psychology (TSPP). Professional Diploma in Psychotherapy (PDP) is a 6-month part-time programme which provides training for graduates who seek a professional career in Psychotherapy. It is designed to provide graduates with practical skills to becoming a psychotherapist in Singapore. 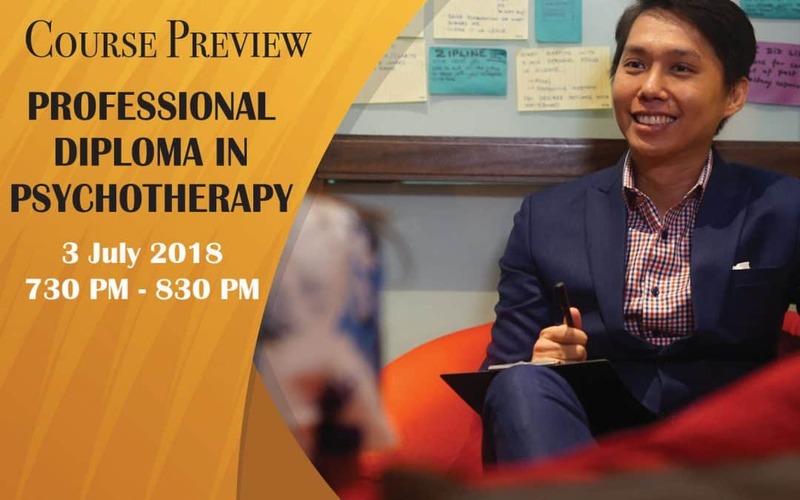 Join us in our upcoming preview session for Professional Diploma in Psychotherapy (PDP) and enjoy an exclusive early bird promotion of S$300 rebate when you sign up for the November intake. This is an opportunity for anyone interested in TSPP’s courses to visit our campus and learn more bout the course structure, career pathways and entry requirements. After a presentation given by the consultant, attendees will be able to participate in a Q&A session, as well as to speak to our admissions’ staff who will be around to provide advice on admissions procedures and entry requirements. Hi I’m keen to explore this course.